Change Your Underwear!!!! ...To MaLo Underwear, That Is! Moving homes really creates havoc on family, emotions, and even underwear drawers. I recently learned this as we moved to a new state to live at my husband's parent's home until our other house sells. Our entire house has been condensed into our one bedroom at this house and it has created chaos for sure! So one night after the kids were in bed, we left for a "date night" of shopping at Kmart! We decided to purchase the MaLo Boxer Briefs which included three pair for $14.99 from Kmart. 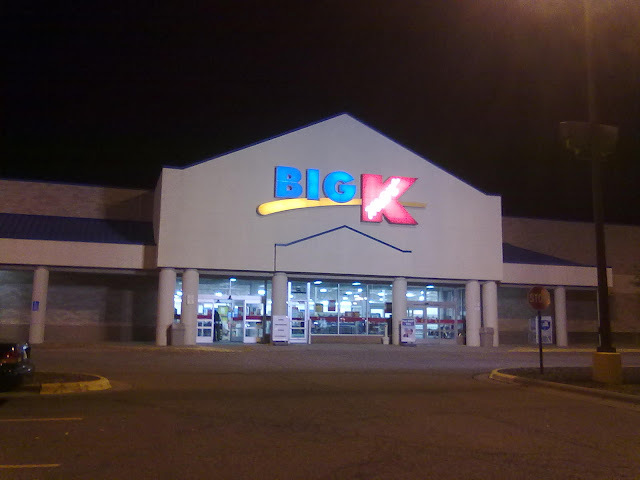 You can see my full Kmart shopping trip in my Google + album. My husband and I immediately opened them up when we got home to check them out! There were two black pairs and a grey pair and we immediately loved how soft the material was! My husband was really excited to wear them and have three new, really comfortable pairs of underwear in his drawer! And then came to the scary part: putting them away. The minute I opened up his underwear drawer, I almost shut it again and never wanted to enter that territory again! But I knew I had to bite the bullet and organize it so SOMETHING would be organized after our new move. You can see why in the picture below. His drawer was such a MESS with socks, belts and underwear all mixed and thrown together! So I organized it, added in the new #MaLoUnderwear and felt much better afterwards! I even color coordinated the drawer a little bit! :) I feel much better now when I have to open his underwear drawer and the first thing I see is his new MaLo underwear! And if you just can't get enough of Mario Lopez, his bare chest, and new MaLo underwear, then you have got to head over to the MaLo Facebook page to enter a great contest to win a chance to MEET MARIO LOPEZ! It is super easy to enter the MaLo contest! Just visit the MaLo by Mario Lopez Underwear page on Facebook and become a fan by "Liking" the Facebook page. Then post a “Before & After” picture of yourself or your man wearing MaLo by Mario Lopez along with a brief description. Description has to include what State you reside in, Contestants Name and a brief description of Contestant’s Makeover Story. The top makeover story and the most likes wins the contest and gets to meet Mario Lopez!!! So next time your husband needs an underwear makeover, consider MaLo underwear by Mario Lopez! They are super comfortable and available at Kmart! And if you want to get more info or learn more about the available styles of MaLo underwear, check out their Twitter and Pinterest pages.